When studying the comparison of education in different countries, it is clear that some countries have figured it out and their students are benefiting on a global scale. This type of evaluation really lends itself to some very clear conclusions. The Third International Mathematics and Science Study (TIMSS) sponsored by the Associate for the Evaluation of Educational Achievement was conducted in the 1990s and is considered to be the most important international study of the times. This comparative survey addresses 9 year olds, 13 year olds, students in the last year of secondary school, their teachers and administrators. It evaluates textbooks, curriculum guides, instructional practices, and curricular influences on student learning. The results of this study largely influenced the rankings in a comparison of education in different countries. This study is certainly not the only source of information, but it is the newest and most comprehensive. Having said that, certain countries do rise to the top of the list over and over. Sadly, the USA is not one of them. Some of the other countries ranked above the USA are Finland, Germany, Denmark, Sweden, Japan, Canada, Taiwan, Korea, and Estonia. It would appear that the US has not moved forward with education as much as we would have hoped. In a comparison of education in different countries, we find that many countries not only have a longer school day, but a longer school year. This gives teachers more opportunity to present new material. The countries with highly successful education systems tend to spend less money per student than the US, but require a great deal more from students and teachers. In the comparison of education in different countries, Finland comes out as #1. Finland recruits its teachers from the top 10% of their respective college classes. In this highly competitive environment, teachers must have a Masters degree. Students in this country are not grouped by ability but, by learning style. Additionally, each community, whether poor or affluent, is funded equally. 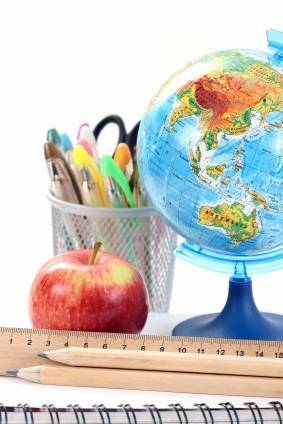 Finland says that it does not invest money in standardized testing, but in teacher education. Some countries, like Japan and India, require students to take other classes after normal school hours. In the US, students spend equal amounts of time on outdated material as relevant material. The textbooks also invest chapters on material students won’t necessarily be able to apply. The curriculum may be in need of an overhaul.